Brand your business with a laser cut metal signs. The business park signs are available with fully custom options including: colors, size, and installation. 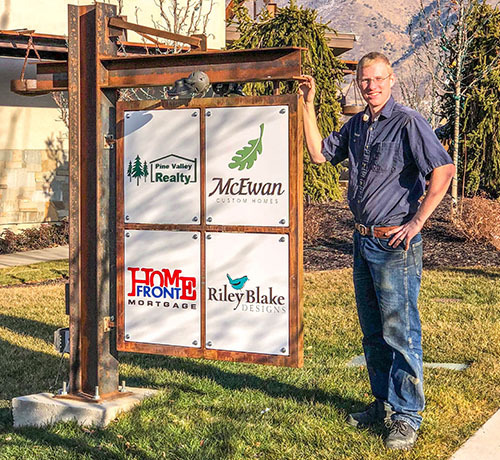 Give us a call today at (801) 414-1724 to get started with your laser cut business sign. At Smith Steelworks, we make it our mission to provide high-quality, custom business signs that will last for years and years to come. We work with top designers to incorporate your logo into the laser cut style. Whether you are looking for a simple one-layer sign or a multi-layered sign, we do it all. Each business sign is also designed to withstand harsh winters, scorching summers, and everything in between. We will go above and beyond to create the sign you have envisioned for your business. We look forward to working with you! We work with you from initial design to final placement. Our team works with all types of installation needs from bolts to sign posts. 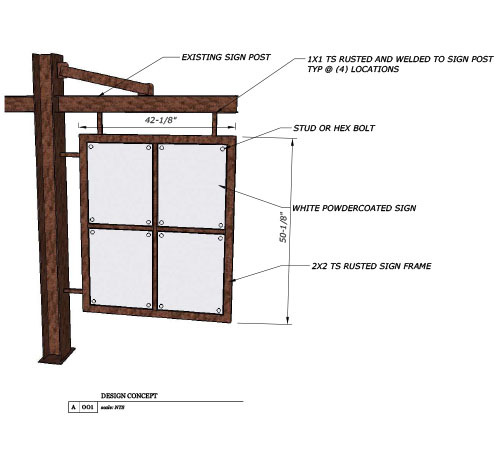 Be sure to let us know, during the planning stage, how you are planning on installing the sign. This will ensure that the business park signs will work seamlessly with your property front. 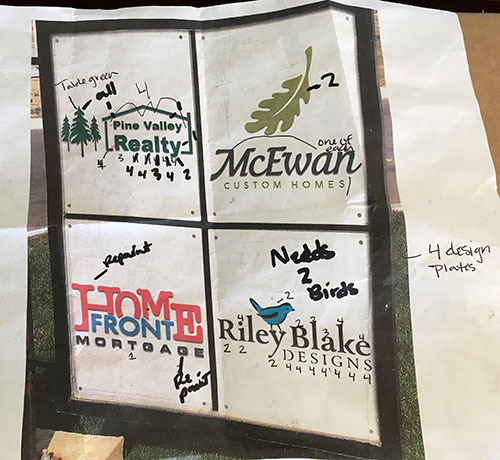 To get started with the business park signs, first send us your sign idea. It can be a word document, sketch, or just a verbal description of what you are looking for. We can also replace existing signs for a new, modern one. All your ideas will be compiled by our sign designer who will turn them into a proof. This will provide a realistic look of how the finished sign will be. It will be emailed to you for final approval before it is sent to manufacturing. For this stand-off sign, the letters and logos were individually cut, powder coated, and adhered onto the metal sign. This gives the sign a three-dimensional look which will ensure that the sign will standout for years to come. Brand consistency is very important when it comes to businesses. Our designers take extreme care in turning your logo into a laser cut file, without changing the look of the brand. Powder coating allows us to add colored layers for further brand consistency.